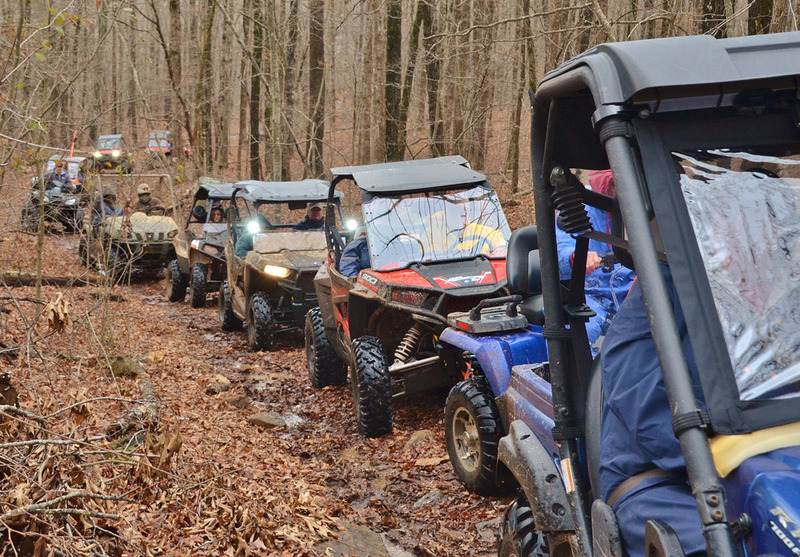 Join us for the Fall ATV & UTV Rally in the beautiful Mulberry Valley. Byrd’s Adventure Center is gearing up with Honda Power Sports of Fort Smith to show your family a great time in the Ozarks! Located one hour from Fort Smith, Fayetteville, and Russellville, this event offers trail rides for all skill levels, games for adults and kids, great food, prizes, and more. Be sure to bring your camping gear, fishing pole, frisbee, and of course, your favorite ATV and UTV! All ages welcomed. $45 per person with Saturday night feast / Kids 10 and under free!